As you look around your office do you think, “I’ve really got a clean this place up?” Depending upon the amount actual paper you have to deal with it’s easy to see how cluttered your office space can become. 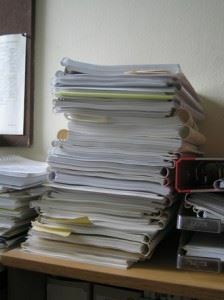 Along with all the reports, memos and contracts there could also be stacks of file boxes cluttering up the corners. A lot of that paperwork you need to hold onto but some of it might also be perfect for the shredder. There could also be a lot of clutter beyond your specific office space that is impeding the productivity of your coworkers. Anytime they have to navigate around unused furniture and equipment, it’s going to slow things down. That’s especially true if those things are kept in your limited storage space. It makes much better business sense to clear out all the clutter and reclaim the office space you’re paying for each month. A company like Junk King Denver can help you achieve that goal with very little effort or high cost. Junk King Denver is going to provide you with a very efficient and hard-working two-man moving crew. This will be the team that will be taking away all your designated office clutter and loading it onto the truck. Not only can you get rid of furniture and cubicle walls but also you can finally clear out all that outdated office equipment. Just because you can’t throw out your old computers, monitors and printers doesn’t mean you have to hold onto them forever. Instead, turn them over to Junk King Denver. They specialize in handling all kinds of e-waste. They don’t handle the specific dismantling of those items but they can certainly make sure those things and up at the right place. You’ll be happy to discover that the cost for the removal, the crew and the disposal is all covered in a single flat fee. That fee will be based on how much space your junk needs to take up on the back of the truck. The crew will provide you with that fee in a written estimate once they’ve sized up all the stuff in person. This is a very fair and efficient way to handle this type of service. When it comes to removing your office space clutter, it makes smart business sense to hire Junk King Denver every time! This entry was posted in junk removal and tagged clutter, Junk King, junk removal, office space on April 30, 2016 by Paul Durant. Last updated August 15, 2017 . When was the last time you went camping? It could be that the idea of packing up all that gear, driving for a few hours and spending several more hours setting it all up isn’t your idea of fun. Then there are the bears and bugs to contend with. Still, there is a lot to be said with sleeping under the stars. Of course, you could just as easily do that in y our own backyard. Many families opt for a backyard campout as a fun way to spend a warm summer night. The issue then becomes will your yard be ready? Sure, you can probably pitch a tent without any trouble but have you ever walked around your yard in the dark? There could be all kinds of potential hazards to trip over. Before you set up your backyard campground, you should bring in the crew from Junk King Denver to clear out the debris and make sure your backyard is ready for summer. Just as with the rest of the house, your backyard can also become a kind of storage area. Between a shed, behind the garage and under the deck, there are plenty of places where you might stash lumber, metal scraps and leftover construction materials. You could also find things like old bikes, car parts and tires being kept on the property for no other reason than they can’t be thrown out in the trash. With Junk King on the job, you’ll be able to easily have all those items removed plus a whole lot more. Perhaps it is time to take down that swing set or shut down the above ground pool. Junk King Denver crews have been called on to do those very things. They’ve also removed sheds, pavers, bricks, fencing and even the occasional hot tub! No item is too big or too heavy for Junk King to haul away. 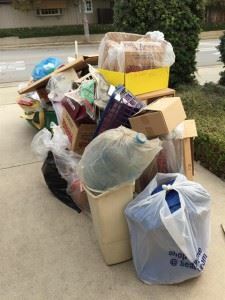 On the same junk removal session for your backyard cleanup, the Junk King crews can also make their way around the inside of your home picking up whatever unwanted items you’re done with in there. One session with Junk King Denver can truly transform your home and yards for the better. Make that call today. This entry was posted in junk removal and tagged Junk King, junk removal, yard waste on April 24, 2016 by Paul Durant. Last updated August 15, 2017 . Investing in a rental property is a great way to add to your savings. 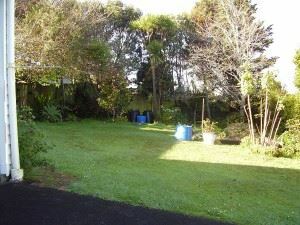 Depending on the property, it could also provide a steady source of income. Of course, as the landlord you will have to maintain that property and deal with all the subsequent tenant issues. Even if you hire a property management firm for the day-to-day operations, you’ll still be involved in a lot of the final decisions especially as it is related to eviction proceedings. No landlord wants to go through this process but sometimes it is unavoidable. The good news is that you’ll find a lot of support from the legal system and with local law enforcement. The final part of the process would be the eviction set out cleanup. Here, you can count on Junk King Denver to take care of all of that junk removal. All Junk King Denver customers appreciate the fact that the two-man moving crew assigned to the task does all the work. That is especially relevant with an eviction set out cleanup. This can be messy work but it has to get done. The Junk King crews have all had experience with this type of clean up action. Between helping with hoarders and removing junk from foreclosed properties, the eviction set out cleanup is right up their alley! What if the job turns out to be too big for one truck? That is a rarity but when it happens, Junk King will provide a rapid response that will bring in additional trucks and manpower to get the cleanup accomplished in a single session. You don’t want to generate bad feelings around the neighborhood by leaving that rubbish on the sidewalk for too long. Included in the affordable fee will be all the disposal. With Junk King on the job, that disposal will often involve making additional drop offs to charities or recycling centers. Junk King Denver has identify what those organizations will accept and will make every effort to see that your junk makes its way there. The goal is to keep as much rubbish out of landfill as possible. Take care of your eviction set out cleanup the fast and affordable way with Junk King Denver on your side. This entry was posted in junk removal and tagged Junk King, junk removal on April 1, 2016 by Paul Durant. Last updated August 15, 2017 .